This 1982 Silverton is in very good condition. In December 2016 the current owner upgraded the following features for liveaboard: A larger sink with pull out faucet. Reverse osmosis water purification system built into the sink. New carpet in the rear cockpit Electronic Upgrades Simrad touchscreen Head Unit- with advanced autopilot, advanced AIS with audio & wifi capability, XM radio/weather integration Stock #173567 NICE BOAT READY TO GO! FULLY ENCLOSED CAMPER CANVAS! TWIN PERKINS TURBO DIESELS WITH 2400 HOURS! 3 A/C UNITS! DIESEL GENERATOR & MUCH MORE INCLUDED!! If you are in the market for an aft cabin, look no further than this 1982 Silverton 42 Aft Cabin, priced right at $66,700 (offers encouraged). This vessel is located in Oxnard, California and is in great condition. She is also equipped with twin Perkins engines that have 3,453 hours. Reason for selling is moving. The Owner has gone over every aspect of this motor yacht. As you can read in the description, numerous upgrades and replacements have been made, most since June 2018. This Silverton aft cabin is ready for its next adventure. Stock #162206 Excellent Silverton 41 Aft Cabin with low hours If you are in the market for a motoryacht, look no further than this 1995 Silverton 41 MY, just reduced to $63,000 (offers encouraged). This vessel is located in Fortescue, New Jersey and is in good condition. She is also equipped with twin Crusader engines that have only 250 hours. Reason for selling is personal. 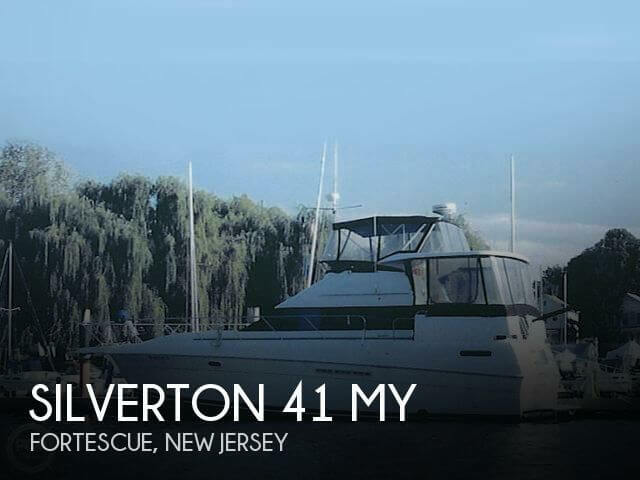 2005 Silverton 43 Motoryacht One of the most competitively priced Silverton's on the market! Beautifully kept, this 3 owner boat boasts a stunning and modern interior decor that invites gracious entertaining as well as a welcoming family gathering spot. The condominium styled space features a large aft Master Stateroom with private head and Guest Stateroom Forward with private access head as well as companionway daytime availability. Solid stateroom and head doors add to the privacy features of the space. Full galley with upright Norcold refrigerator / freezer, 3 burner cooktop, oven, and microwave guarantee quality food prep and storage while onboard. With features galore, a truly luxurious cruising experience is waiting to be enjoyed at a remarkable price. 1997 Silverton 372 Motoryacht PRICE REDUCED $65,000.The 1997 372 in later years was the model 392. The extended swim platform, interior design and sleek look make this vessel live larger than its 37'. Silverton designed this boat to be comfortable for a family, a group of friends, or just the two of you. It features a spacious salon area with seating for up to eight. The flybridge is very large and provides excellent vision for navigation. With low hours this boat is ready for a new owner to enjoy. 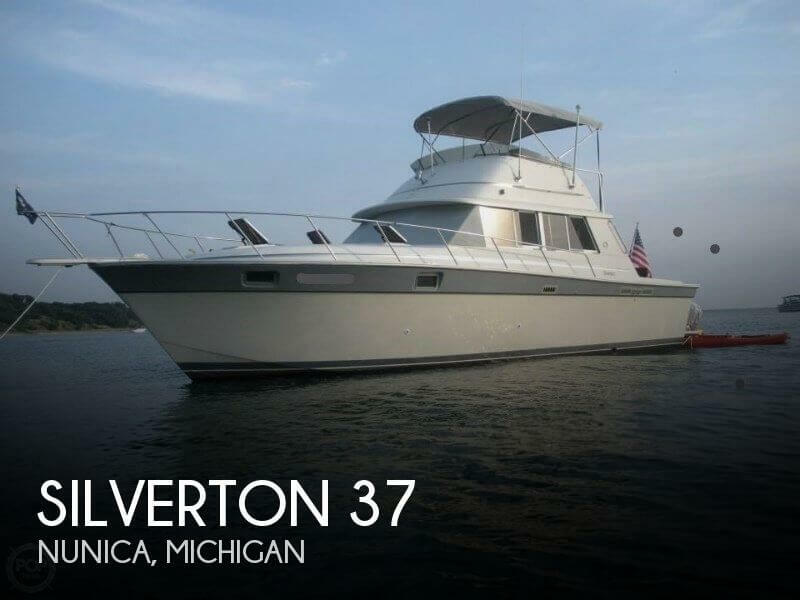 1993 Silverton Aft Cabin Motor Yacht Two private staterooms and two heads with stall showers all in a 34' boat. Its amazing the accommodation this boat has. She also has a large dinette and a huge galley. Not only is she roomy on the inside, she has a great electronic package. Some of the electronics include Sitex GPS, Raytheon Radar and an autohelm auto pilot. She is a MUST SEE. From the seller: NEW Galley Flooring, NEW Carpet and NEW Sofa Bed. 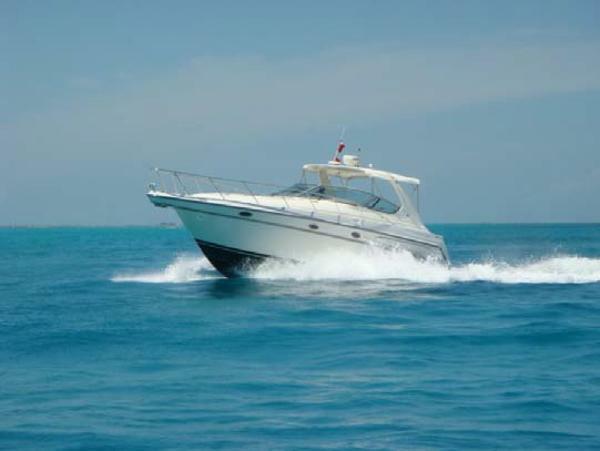 The boat is in excellent condition and very well maintained. The company offers the details of this unit in good faith but cannot guarantee or warrant the accuracy of this information nor warrant the condition of the unit. A buyer should instruct his agents, or his inspectors, to investigate such details as the buyer desires validated. This units is offered subject to prior sale, price change, or withdrawal without notice. Stock #172479 ONLY 70 HOURS ON NEWLY REBUILT MOTOR! PRICED TO SELL THIS 1987 SILVERTON 37 CONVERTIBLE IS A MUST TO CONSIDER! 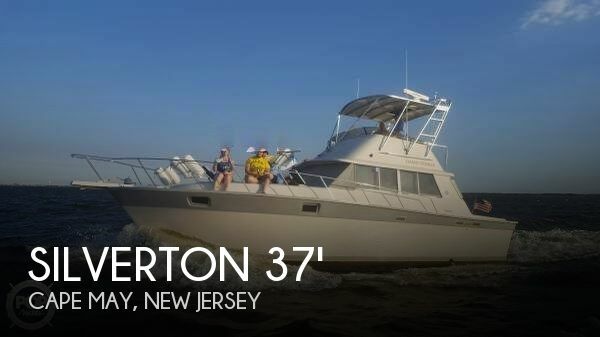 If you are in the market for a sportfish/convertible boat, look no further than this 1987 Silverton 37 Convertible, priced right at $38,800 (offers encouraged). 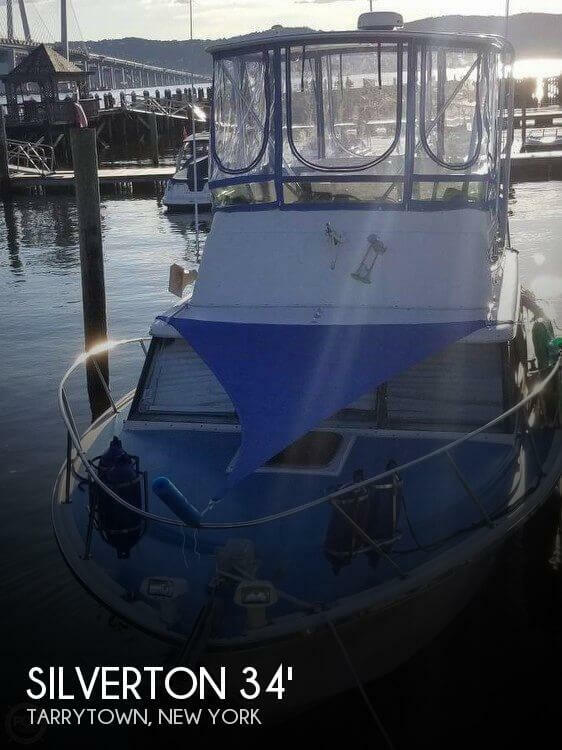 This vessel is located in Cape May, New Jersey and is in good condition. She is also equipped with twin Crusader engines that have only 70 hours. Reason for selling is retiring from boat life. 2003 Silverton 43 Motor Yacht This 2003 Silverton 43 Motor Yacht has always been enjoyed in the fresh waters of the Great Lakes. 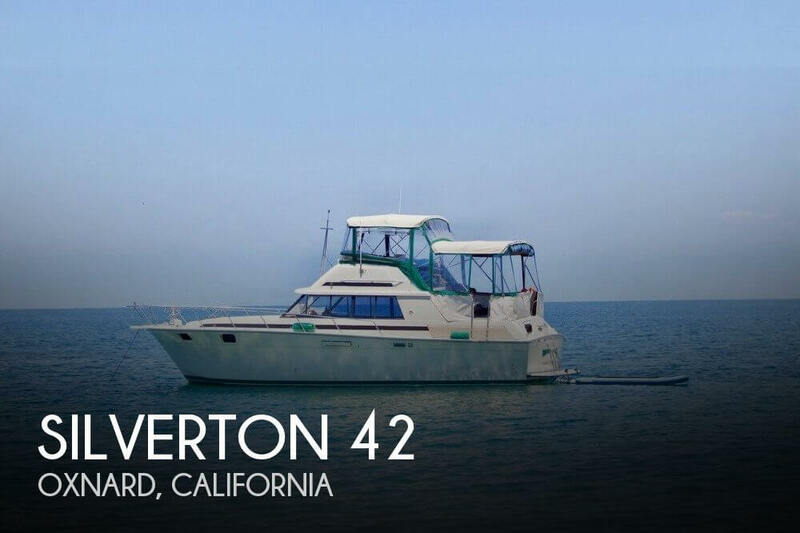 This Silverton 43 has been continuously upgraded, including a wood interior floor, new soft goods in 2014, new helm seats in 2018 and an exterior stereo.A recent trade-in you should call today and get aboard. Good, clean used boats are selling quickly! According to the Owner, they have all receipts for maintenance and upgrades. May require bottom coat this year. The bottom coat was inspected 2.5 years ago and was good to go at that time. Previous Owner: Teakwood flooring was installed approximately 2014-2015 for a total cost of $12K. 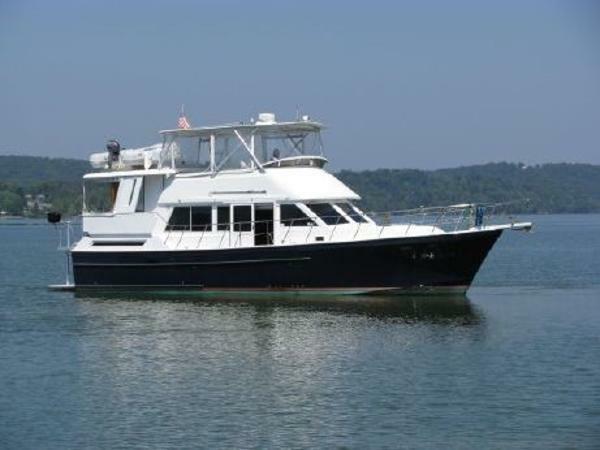 They also Converted the rear exhaust to a side exhaust $10K Stock #167365 Unique Fresh water only totally remodeled & has teak flooring throughout Plus comes with all the extras perfect for chartering & liveaboard!! If you are in the market for a motoryacht, look no further than this 1989 Silverton 46 Aft Cabin Motoryacht, just reduced to $117,000 (offers encouraged). This vessel is located in Gilbertsville, Kentucky and is in great condition. She is also equipped with twin Detroit Diesel engines that have 1,060 hours. Reason for selling is owner wants to pursue other business ventures. The photos tell the story on the cosmetics and the mechanicals; the owner reports that all systems, propulsion, electrical, electronic, entertainment, domestic and environmental function properly and the vessel is routinely serviced. The full enclosure and bimini are in excellent condition and the interior as well, though at the time of photography it was packed with the deck furniture for the winter. Stock #159800 Excellent condition flybridge with new canvas! Recently repowered! Well maintained with many new upgrades! Full galley & bath! 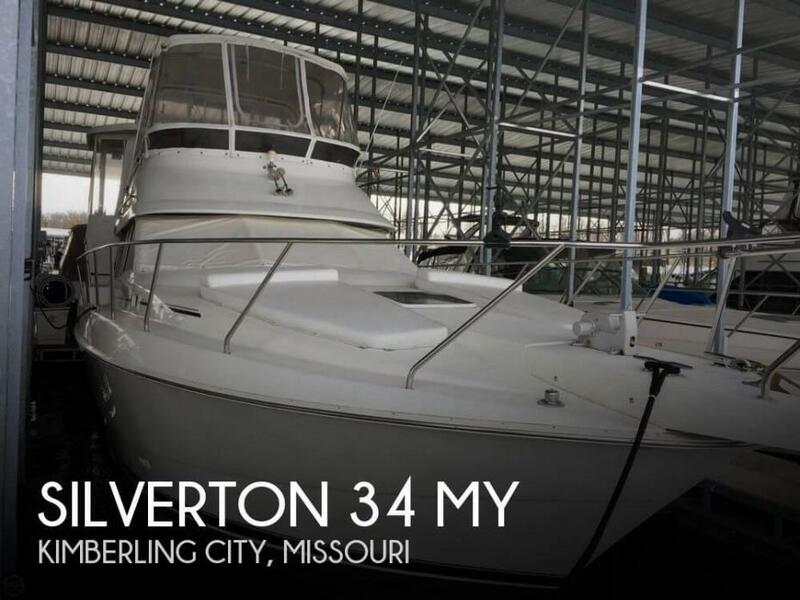 If you are in the market for a sportfish/convertible boat, look no further than this 1980 Silverton 34 Sedan Bridge, priced right at $15,000 (offers encouraged). This vessel is located in Tarrytown, New York and is in good condition. She is also equipped with twin Volvo Penta engines. Reason for selling is no more time for boating. This boat seems to be cleaner than your typical 2005 boat. Per the Seller: All parts from the TV's, VHF, TracVision satellite to the rugs, comforter and bimini are above average condition. It is very organized, clean, and upgraded. Mechanically, very low hours on the engine and Genset. All major services have been done from the riser, manifolds, heat exchangers and flush. All that is left is some bottom paint touch/up. Other than that she is ready for many more years to come. Stock #170692 Engines are fresh water cooled and a fresh water flush kit was added last year after the headers and risers were replaced! MORE INCLUDED! 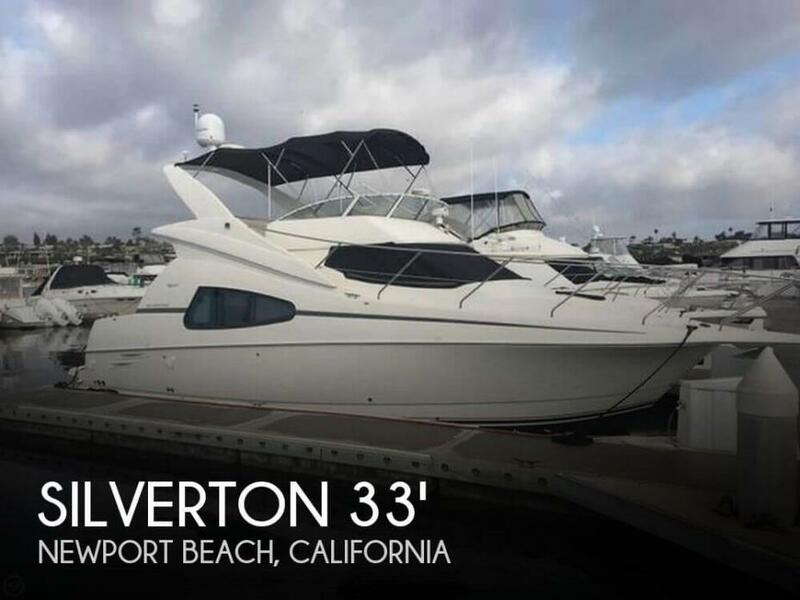 If you are in the market for a motoryacht, look no further than this 2005 Silverton 330 Sport Bridge, priced right at $99,900 (offers encouraged). This vessel is located in Newport Beach, California and is in great condition. She is also equipped with twin Crusader engines that have only 244 hours. Reason for selling is bought a house.. 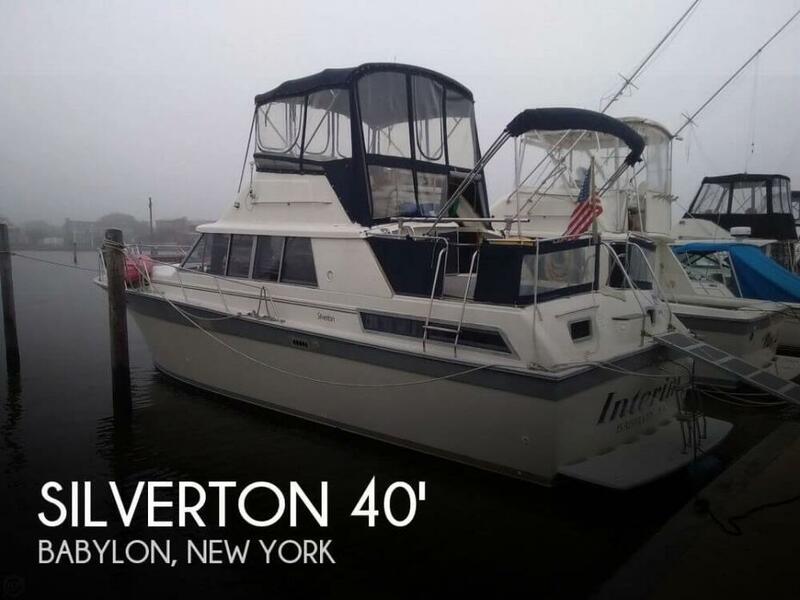 This Silverton 40 Aft Cabin is in very good condition. She has been very well maintained. The cabin is clean and is visibly in good condition. 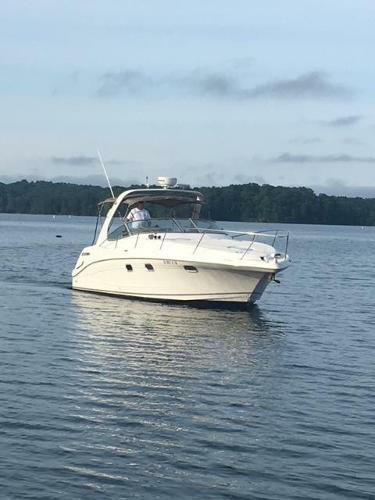 Per the Seller: There have been many upgrades and everything on the boat works well. The windlass is in need of repair. 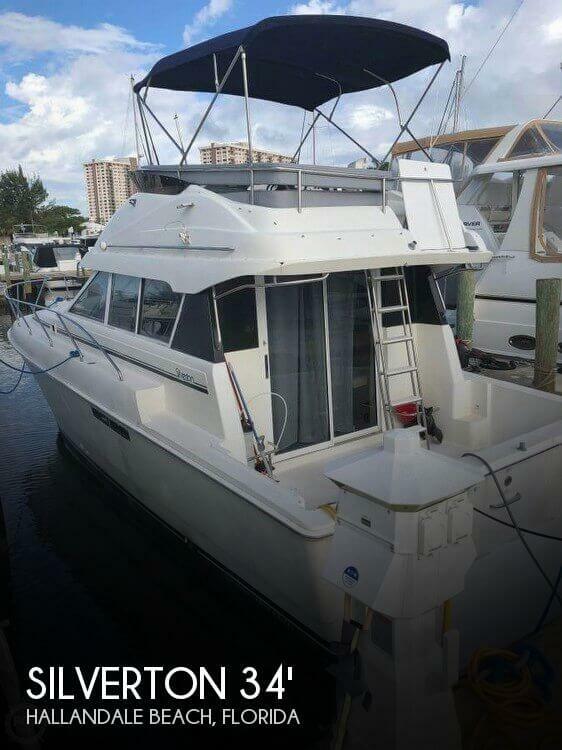 Stock #159467 Always well kept and professionally maintained very spacious and fully equipped including two zone ac/heat, bimini cover and generator! 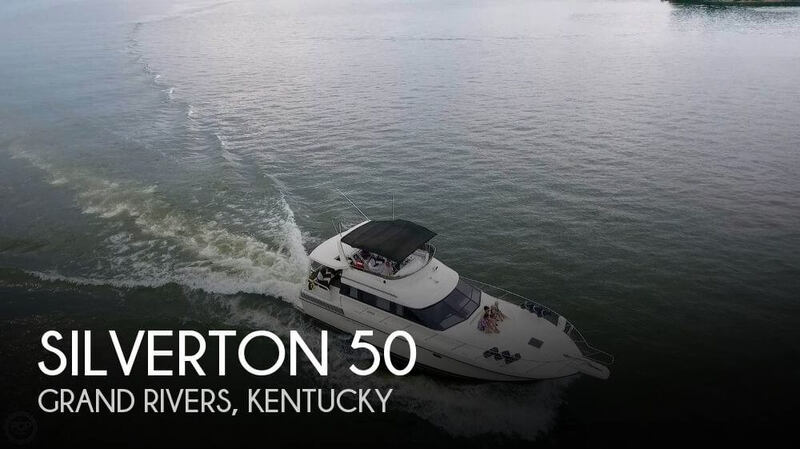 If you are in the market for a motoryacht, look no further than this 1988 Silverton 40 Aft Cabin, just reduced to $27,500 (offers encouraged). This vessel is located in Babylon, New York and is in great condition. She is also equipped with twin Crusader engines that have 1,295 hours. Reason for selling is relocating. 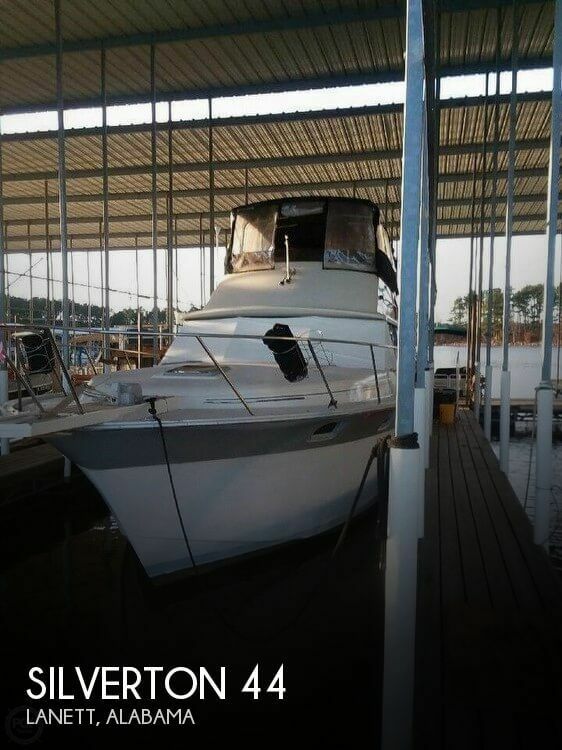 Seller states boat is in great condition. Was in saltwater for a short time when new, but has been in freshwater the majority of its life. Generator not currently working, seller mainly uses the boat for day trips and keeps boat plugged in at the dock so does not use the generator and not planning on fixing. Stock #163160 This vessel was SOLD on April 5. If you are in the market for an aft cabin, look no further than this 1988 Silverton 40 Aft Cabin, priced right at $27,800 (offers encouraged). This vessel is located in Lanett, Alabama and is in good condition. She is also equipped with twin Crusader engines that have 680 hours.